When most people hear cable car" they think "San Francisco." Yet for almost one-quarter of a century Chicago boasted the largest cable car system the world has ever seen, transporting more than one billion riders. This gigantic public work filled residents with pride--and filled robber barons' pockets with money. It also sparked a cable car building boom that spread to twenty-six other U.S. cities. 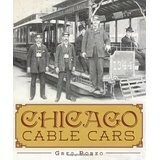 But after twenty-five years, the boom went bust, and Chicago abandoned its cable car system. 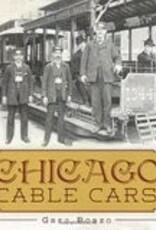 Today, the fascinating story of the rise and fall of Chicago's cable cars is all but forgotten. Having already written the history of the "L," Greg Borzo guides readers through a stretch of Chicago's transit history that most people never knew existed--even though they have been walking past, riding over and even dining in remnants of it for years. . ."